Cyber-Hobby Orange Box keeps rolling out new items. 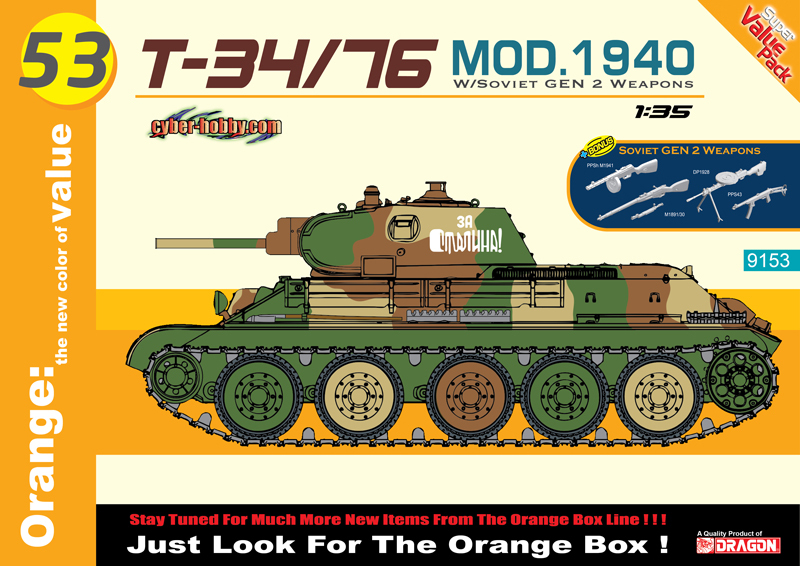 Here comes Soviet 1/35 T-34/76 Mod.1940 Tank Destroyer. To make it more valuable, it is upgraded with a fine 1/35 scale assortment of GEN2 Soviet Infantry weapons.